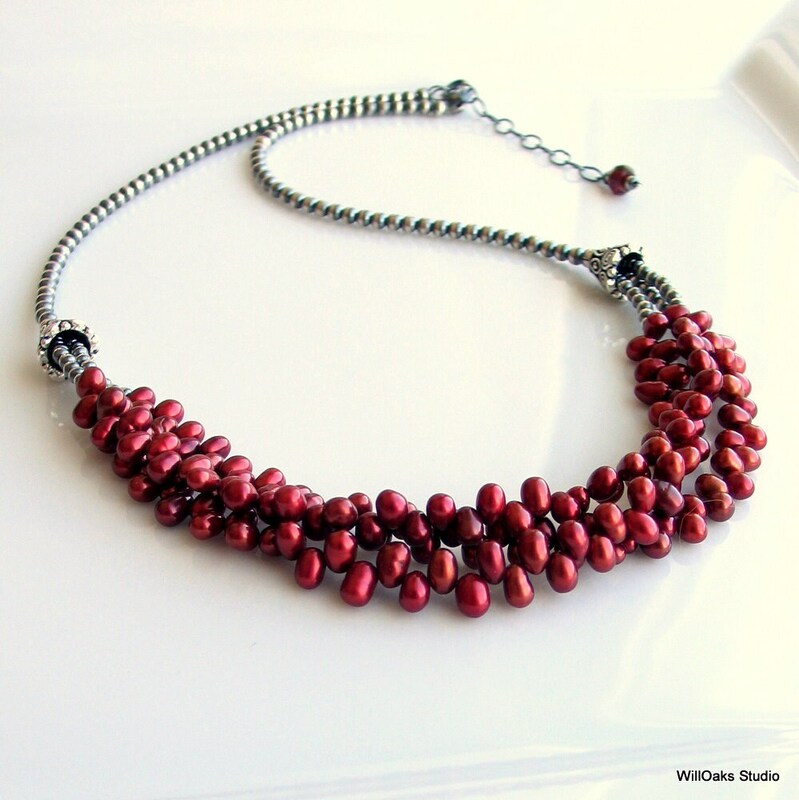 An original pearl bib necklace, delicate and artisan made by WillOaks Studio with a cluster of tiny scarlet red pearl nuggets and a unique sterling silver beaded chain. A special pearl necklace-will you dress it up or down or give it as a deluxe special gift? Three strands of tiny top-drilled rich red pearl nuggets are captured under detailed hefty silver plated cones. 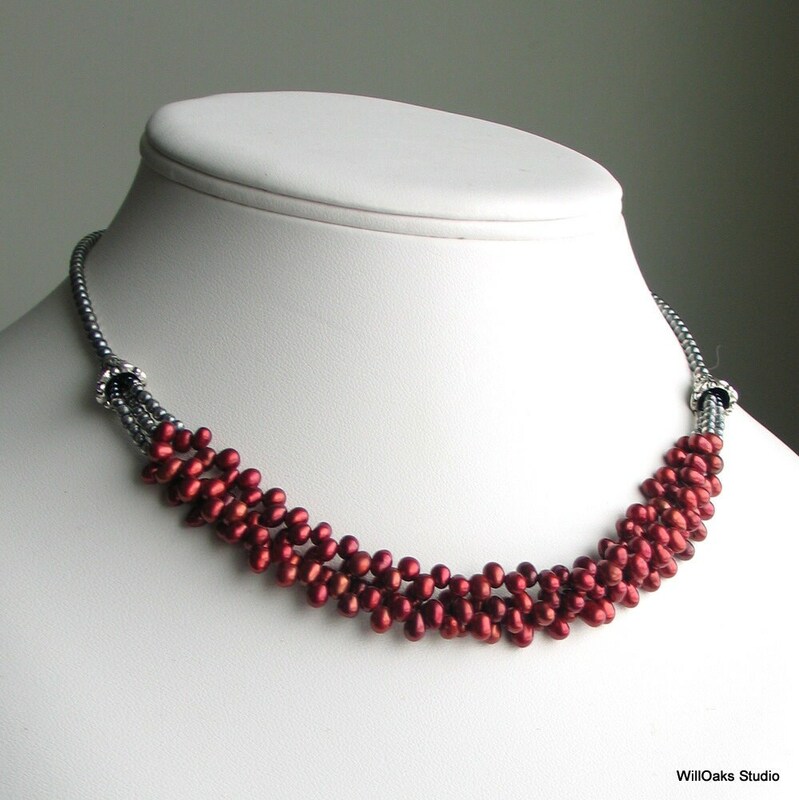 The WillOaks Studio signature "special chain"-a rich play of sterling silver beads rendered in contrasting dark and light-completes this original artistic necklace. Oxidized silver beads are selectively buffed to create this unique "chain" which adjusts from 16.5" to 18.5" long, closing with a sterling lobster claw and an extension chain. A final faceted red garnet dangles from the end of the extender. 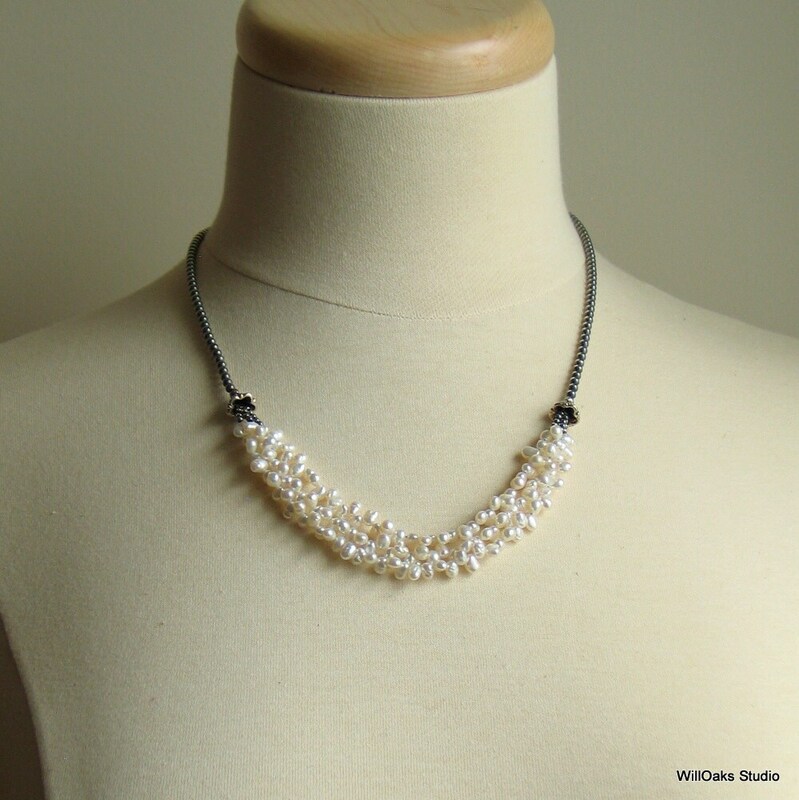 These lovely freshwater pearls are about 4 mm by 3 mm each and are top-drilled. They are wonderfully smooth rice forms such that when clustered together, they are a marvelous lustrous grouping front and center on this special necklace. 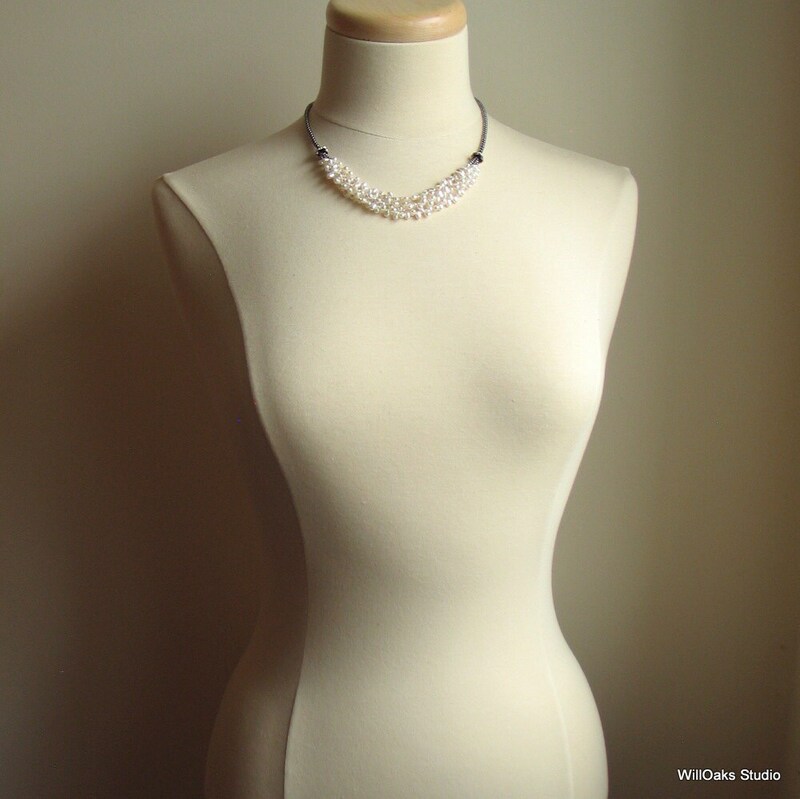 A similar design, done with white pearls, has been a popular staple in my studio for a couple of years https://www.etsy.com/listing/66086537/white-pearl-bib-necklace-and-sterling? Either color is a perfectly classy fashion accessory....and a go-to pearl necklace to wear year 'round! Browse other original designs in my studio here http://www.etsy.com/shop/WillOaksStudio-Thank you for stopping by! Very cute and substantial piece. Thank you once again! great quality, just as pictured!